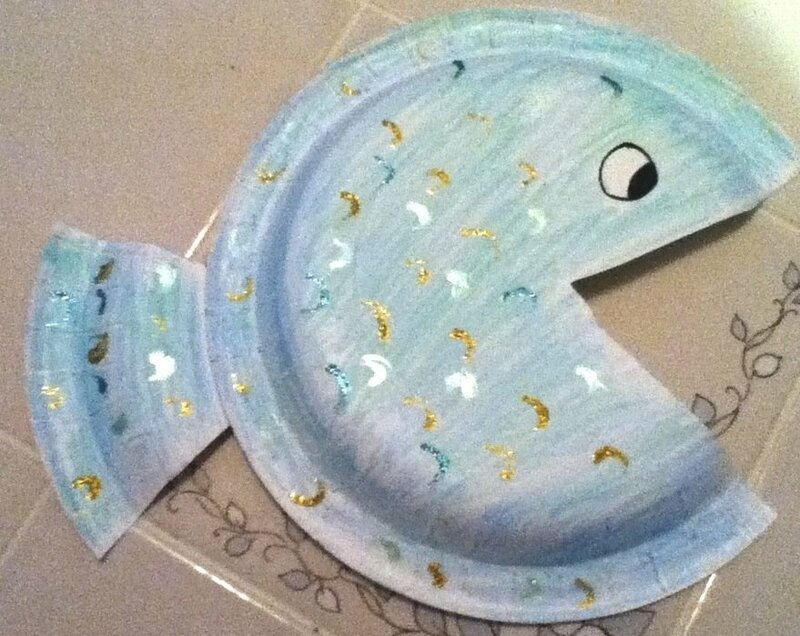 This paper plate fish craft is a fun project for kids. It’s easy to make which makes it a great craft for elementary school and day care aged children. There are so many ways you can decorate your fish. Follow the simple directions below to create your own paper plate fish. Step 2: Use the piece you cut for out for the mouth and glue it pointy side in for the tail. *Creative Tip: You could add streamers to the fish tail, glue on teeth on the mouth, add goggey eyes the possibilities are endless.